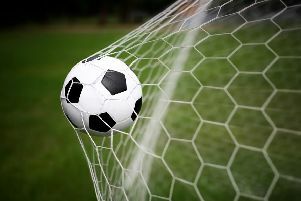 Hastings United’s footballers will be gunning for a second win in four days tonight (Tuesday). The U’s will be determined to follow up their 3-2 weekend victory at home to Ramsgate with three more Ryman Football League Division One South points away to Chipstead. It’s certainly a game United need to win bearing in mind that Chipstead are second-from-bottom of the table having picked up just 11 points from their 25 league matches so far. United have already beaten Chipstead twice this season. They were crushing 6-0 winners in the reverse fixture on the opening day and won a tougher FA Trophy contest away to the Surrey outfit 2-1 at the end of October. United are 14th in the table at present, but have between four and eight games in hand on every other club in the division. They are nine points behind Guernsey - who occupy the final play-off spot of fifth - having played seven fewer matches. A win could move United into the top half if Hythe Town and Corinthian-Casuals fail to win their games. United should be close to full strength against a Chipstead team which has lost five of its last six league contests. Kick-off is 7.45pm. Some heavy rain is forecast for this afternoon and news of any planned pitch inspection, should there be the need for one, will appear on this website. * United are running a coach to the league fixture away to Whyteleafe this coming Saturday, leaving The Pilot Field at 11.30am. The cost is £12 for adults, with a £2 discount for supporters’ club members, and £5 for under-18s. Call Dave Russell on 07970 332270 or email davidrussell881@hotmail.co.uk to save a place.